SPRING BREAK 2014 in Panama City Beach, FL: Plans Are Underway! 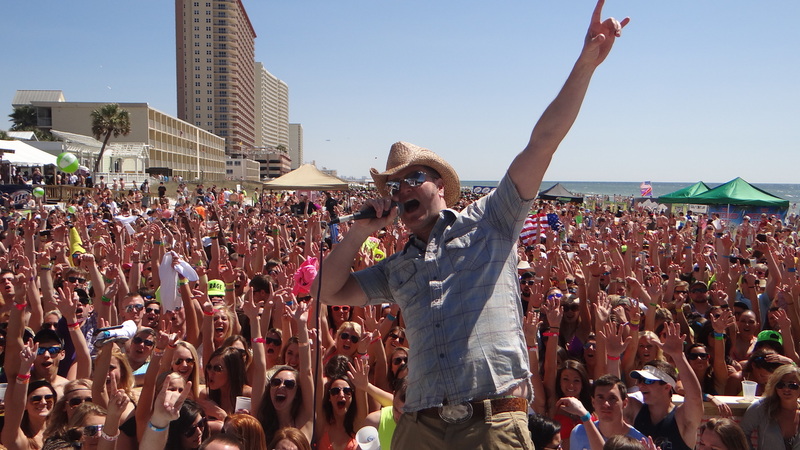 More live concerts are promised for Spring Break 2014! It’s tough to get excited about something that can be considered too far into the future. After all, summer just arrived, and we all want to think about how we’re about to spend our time away from school for the next few months. But this is Spring Break we’re talking about, and many would agree that when it comes to Spring Break, certain exceptions to the rule need to be made! Spring Break is the largest student event of the year, as close to two million students from across the U.S. travel to various destinations, the most popular destination being Panama City Beach, Florida. Hailed as the “Spring Break Capital of the World”, Panama City Beach, Florida has annual attendance numbers exceeding half a million students, making it the most attended Spring Break destination in the world. In fact, to put it into perspective, more students come to Panama City Beach for Spring Break than all other destinations combined! Planning for an event as massive as Spring Break in Panama City Beach doesn’t just happen overnight as one might imagine. It requires months of intense planning from hotels, condos, night clubs, event marketers and city officials all working together to make sure that Spring Break is not only fun and successful but safe as well. So what does Spring Break 2014 have in store for the students that will descend on the beautiful beaches of Panama City Beach, Florida? Below is just a few of the things that we are working on to make Spring Break 2014 one for the memory books. As the days go by and information is released we will share with you more specifics on each of these items and more. We look forward again to hosting the largest party on the planet come March, 2014. See you on the beach! Are you excited about Spring Break 2014 yet? Share your excitement with us by joining the discussion on the official Spring Break in Panama City Beach Facebook page and Twitter handle. And as always, you can stay on top of all the news by visiting the pcbeachspringbreak.com website frequently.